A candle holder that plays with the shadows. A distinct star is formed when the candle is lit and as the candle burns down the star grows outwards. 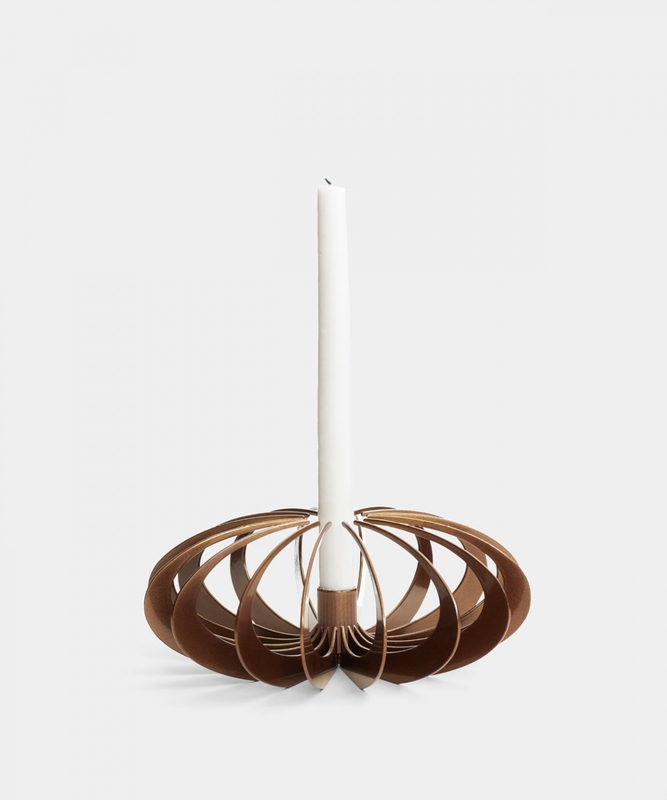 The candle holder is made from lacquered laser cut steel.